Click here to visit the astonishing website!! So last fall in Pennsylvania I sat in (when I could) on a dark room photography class at Penn State -- which was gorgeous and mysterious and I would like to spend many many many more hours in the future watching images appear magically on paper! -- and during that time one of the TA's for the class, Rob Martin, asked me to partcipate in this self portrait series he was doing for his MFA. His project? Was having people do self portraits but with him standing in for them. 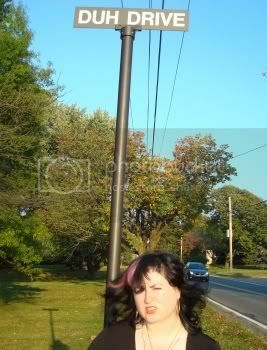 So I had to think of how I'd want to present myself, and then present him like that, and then take the pictures with his camera. So I immediately decided he had to wear the things I always wear -- rings and earrings, red lipstick, black eyeliner, mascara, pale powder, glitter... as I go for the earthy, natural look at all times... I also brought gypsy-ish scarves to drape him with -- and that he had to have little baubles around him and a pile of books there, too... my own books and books of fairytales and a book on Joseph Cornell and at least one old-time noir.. And that he definitely had to be holding and playing my accordion. 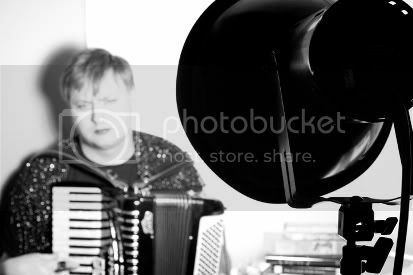 I thought that right away and then I thought well I have ONLY been studying accordion a few months, is that really what my self portrait should be based around? 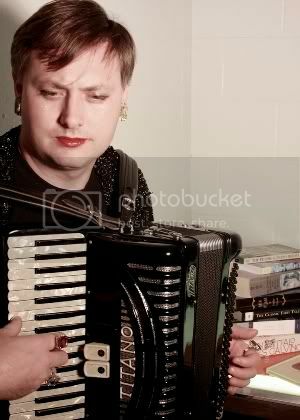 And then I realized YES INDEED as the accordion is like everything I love (not to mention try to do in fiction) all wrapped up together: it's gorgeous and showy and dazzling and beautiful... like what other instrument do people routinely write their names across IN RHINESTONES?.. and it always has mother of pearl and just all kinds of flash and dazzle to it.. but at the same time it's incapable of making a note that's not touched with melancholy and sadness. Even at its most jaunty and vibrant it's got that sadness underneath, and that's what I love most about it. Plus it's so beautiful but so awkward, really, a bit inelegant... but in the most glamorous way. So anyway. We did this photo session and he set up lights and I got to direct him and adjust the lights and take the photos, and then later he went through them all and picked the best ones and did his magical things... and now months later there's this show in Chelsea that Rob's in and it's one of my self-portraits that's in it. And I think it's the first image here that's in the show but here are two he sent me, resized. 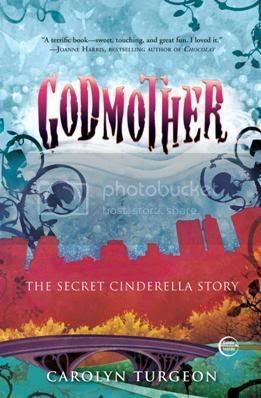 In a season of reimaginings, Carolyn Turgeon (Rain Village) delivers Godmother: The Cinderella Story (Three Rivers Press). 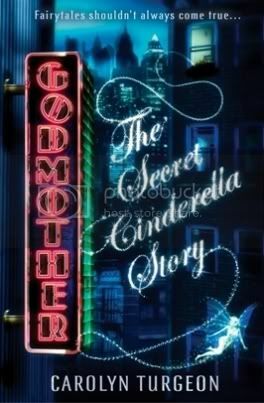 Turgeon’s retelling finds Cinderella’s fairy godmother banished from her fairy world and working as a bookseller in New York. 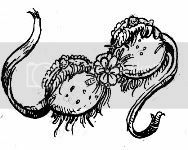 For her fairy faux pas, she has been pulled away from her life, though if it seems to her that if she can contrive one selfless and beautiful act, all will be forgiven. Godmother is exquisite: oddly chic, dark, sweet and elegant... and not a zombie in sight. Turgeon has a light but meaty touch. 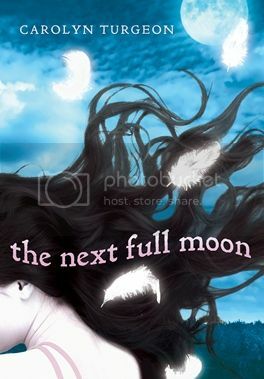 The author has said that after her challenging debut, she was determined to work on something simpler. “I just wanted to work with something wonderful -- a fairytale -- and play,” Turgeon has said. Godmother is a delicious departure. Cinderella didn’t go to the ball, her Fairy Godmother went instead. It was a night of dancing and romance. A night filled with the magic of being in love, with the delight of being human. 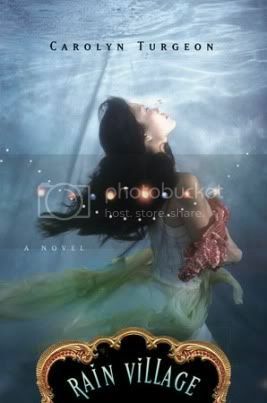 One night that alters fates course, and at the end when there should have been a “Happily Ever After” there is only regret. Leaving her charge alone and vulnerable, Lil did the unthinkable and fell in love with the Prince. Her actions skew the course of fate and have tragic consequences for all involved. 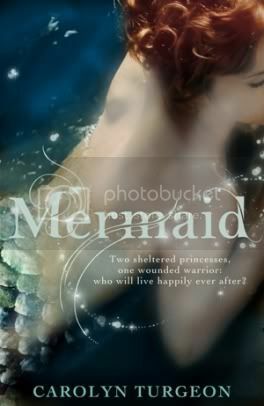 Three hundred years after being banished from the fairy realm for her failure, Lil meets a girl who amazingly resembles Cinderella. This meeting is the beginning of a string of signs. A book of fairies with a photograph of her fairy sisters proves that fairies are still around. She catches a glimpse of the Prince, her old and eternal love. Then she hears of a modern ball that a lonely, princely man is attending. 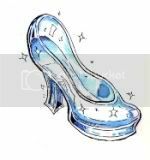 These signs give her hope, if she can correct her mistake, if she can redeem herself by helping this “Cinderella” find her true love, maybe they’ll finally let her come home. So I have been busy writing and writing and trying to finish this mermaid book up here in the Hudson River Valley, in this old farmhouse with Massie and Marcie. I either go to the local coffee shop to write, sometimes all day, or hang out at the house and write in my room or at this old red metal desk in the basement. 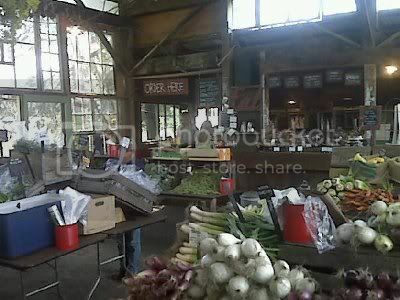 And Massie and Marcie both work here and work in the big organic garden and run a CSA and they knit and quilt and sew and cook and bake and do other magical things. I came back the other night and Massie was quilting and Marcie was knitting and they were both in front of the television and Mumu the dog was spread out on the floor and they all looked up at me and I said well hello, old ladies, and it was then decided that I need to take up TATTING which sounds good as it involves something mysterious called a BOBBIN. And then there's a big porch out front that you can sit on and watch swaying trees and rain from, and we all sort of collect there a few times a day. And I like this town, Cornwall-on-Hudson, a lot, and am especially fond of the witch store where I've been taking classes now and then, and this beauty spa where they have hot stone massages for 50 dolla and manicure/pedicures for 35. Plus you can get a chair massage whilst waiting for your nails to dry. I mean really. Porches and massages and witches! I am not quite sure what else a girl needs, at least when in book-finishin mode. And the other night I went to see the most gorgeous bellydancing and drumming performance at a local yoga place/dance studio, and it was sort of sponsored by the witch store I think, and we sat on pillows on a wide-planked wooden foor in a room with slanted ceilings, and outside it was stormy, and inside it was all fairy lights and draped fabrics and lit tea candles scattered across the floor. 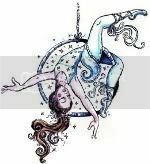 The three dancers were all in white sparkles and the main one, Elizabeth, pale with long red hair, did a whole dance with a simitar balanced on her head across a Persian carpet while the drummer boy cast a spell on everyone. 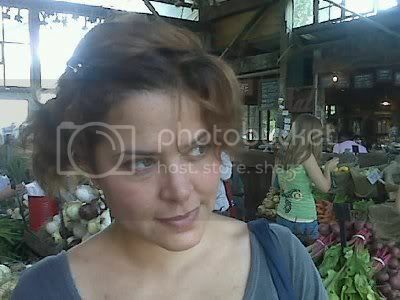 A few days later at the witch store I found out that the two are madly in love and I said well I would think so. I mean, what a romantical pairing. 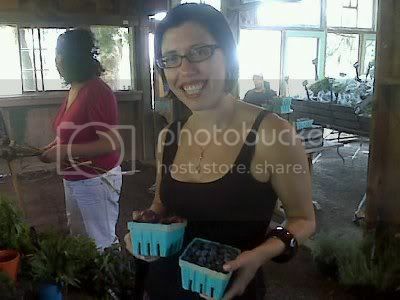 And then here is Massie looking devious and Lisa about to purchase blueberries and sugar plums. The food was delicious--omelets with fresh herbs and cheese, big mixed green salads--but I was most enamored by the lovely jars of iced mint tea with mint leaves sticking out of them, not to mention the fresh squeezed lemonade with lemon slices floating in it. We also saw Harry Potter and I almost died of boredom, and LIsa and I went and got manicures and massages. We'd made massage appointments together and when they actually led us into the same room we realized they were giving us a COUPLES MASSAGE and we said well ok, I suppose it is a bonding experience. Oh and Saturday night I drove mahself up to Annandale-on-Hudson to Bard College where the Labyrinth Theater is having its summer workshop intensive and where my brilliant friend David Bar Katz's new play was being workshopped, and it's a closed thing but as I was nearby and had read bits of the draft, etc., he decided I could just come anyway, and it was really very cool... I mean lots of things were cool about it (and the play, The Atmosphere of Memory, might be one of the best things I've seen of his -- so hilarious and smart!! ), but after spending weeks and weeks working so intensively on this novel, which could not be a more solitary process, it was so cool to see this new piece of David's come to life right there in front of me with actors and directors and this whole audience of company members--maybe 100 were there?--all so deeply invested in each other's work, watching. And clapping and hooting and just generally being a theater company. And David had written several characters specifically for specific actors, and to see those actors bringing characters so tailor made for them to life was pretty magical, especially seeing the chemistry between David Deblinger and Michael Stuhlberg, both great but very different style theater actors Id seen act in David's stuff before, and then seeing the very astonishing Ellen Burstyn read the main female role. I should also mention I was in a room filled with actors I recognized from my favorite show LAW AND ORDER, and I'm sure many other wondrous things but what can I say I love me some Law and Order (actually David's last play reading had Eric Bogosian in it and I totally appalled David by being impressed by his LAW AND ORDER CI cred rather than all the other great stuff he'd done), which was cool. Oh and Phillip Seymour Hoffman, of course, and I have to say that in person, in that warm, rich, creative environment, that man was much more glowy and handsome than I ever done seen him on film. Another thing I have to say is that by now, having read several of David's plays in draft form before seeing them performed in workshop/reading and then production type scenarios, it is much impressed on me how lines that seem to work on paper or seem to not work on paper... how much of that is in the actor's hands. A few times I've been critical of lines that David then told me would work on stage, mainly because of David Deblinger, and then lo and behold they totally would. 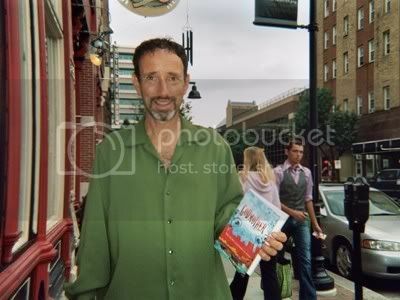 My cousin just sent me this photo of Jonathan Richman with mah book (my cousin gave it to him at a show in Des Moines last month). It's like he can barely stand still, he's so anxious to crack that baby open! 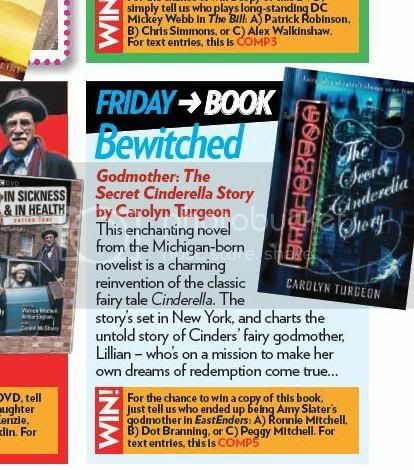 So Godmother is book of the week in the UK's Inside Soap magazine. Can you believe the over the top sluttiness of the following legs-wide-open display? 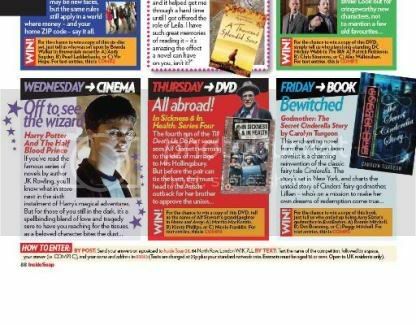 Please note that the new Harry Potter movie is recommended for two nights earlier (the less cool night). 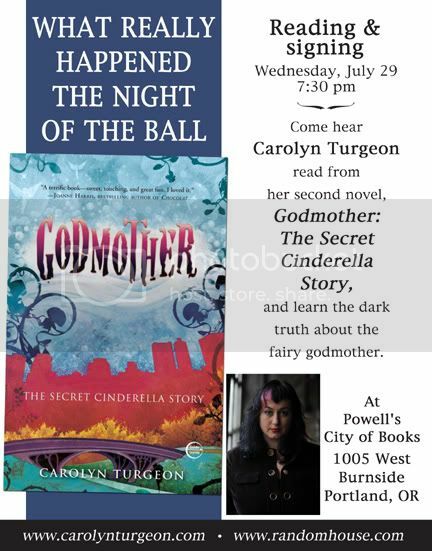 So I will be at POWELL'S in PORTLAND, the main store on Burnside, on WEDNESDAY, JULY 29, at 7:30pm, so please come! This is my take two at Powell's, since when I was first there, in January 2007, to read from RAIN VILLAGE, it snowed like one inch and the whole city shut down and my reading was rooodly cancelled and my heart broke into 50000000 snowflake shaped pieces. I have many other fascinating things to report, as there have been GLORIOUS ART SHOWS and ROMANTIC RENDEVOOOUS and EMERGENCY ROOM VISITS and BOOKS COMING OUT IN THE UK and DEATHLY SUNBURNS ON ANCIENT BATTLEFIELDS taking place since I last wrote here, but I am too busy trying to finish books about mermaids by the end of the month as well as prepare for FAERIEWOLRDS, where I shall share a booth with LANA GUERRA and JESSE RENO and have just learned that amongst Lana, Jesse, my friend Barb and yours truly, not a one of us knows anything about putting up tents or camping. I have ordered a big white festival tent for this event--which I did not realize I had to do initially; I thought that when I rented a booth I was renting a BOOTH--in which we shall display my books and Lana and Jesse's many wondrous things, and now I fear that if we succeed in hoisting up this tent at all it will soon thereafter blow softly away into the wind as we all stand there and cry. 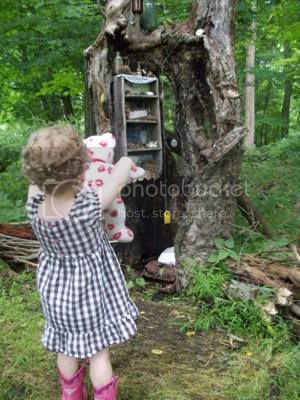 Now to take the sting of that very devastating image away, I leave you with this photo of my best friend AOIFE showing Marcie's Boo Radley tree -- one of the wonders at the art show Compass up here at the Grail in Cornwall -- to her bear. I mean really. Please note the exceptionally fabulous boots I bought her, which light up when she walks. This is my blog. It contains many exciting and unusual musings on the mysteries of the universe. And the galaxy at large. 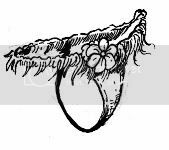 Ancient Archival Treasures... Click below to read previous astonishing blog posts!